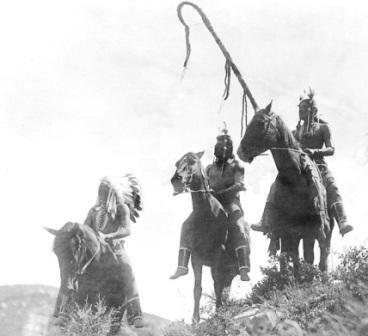 Facts and history about the life and lifestyles of the Great Plains Native American Indians. Counting Coup was a practise adopted by many of the Plains Native Indian tribes as an indication of brave and heroic deeds in battle. Counting Coup was based on a type of point scoring system, by which different acts of valor were accorded different levels of honor and prestige. These acts of bravery, or 'war counts', were recorded on a 'Coup Stick' and deeds were indicated in various ways including the use of notches and feathers. In order for a coup to count it had to be witnessed by other warriors and then officially recognized by tribal council.